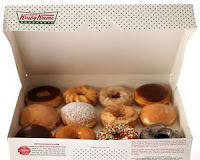 WELCOME TO MY MONEY MISSION ONLINE: NATIONAL DOUGHNUT DAY!!! Today, June 4 only, stop by Krispy Kreme or Dunkin Donuts for a free donut (limit 1 per person) for National Donut Day. No purchase necessary.